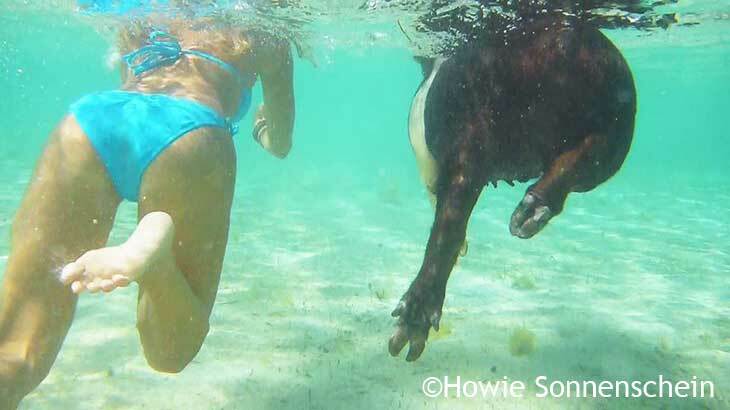 If your day is a little gray, if you need some inspiration, if you are not sure you can do it… Then just remind yourself that even pigs can swim! 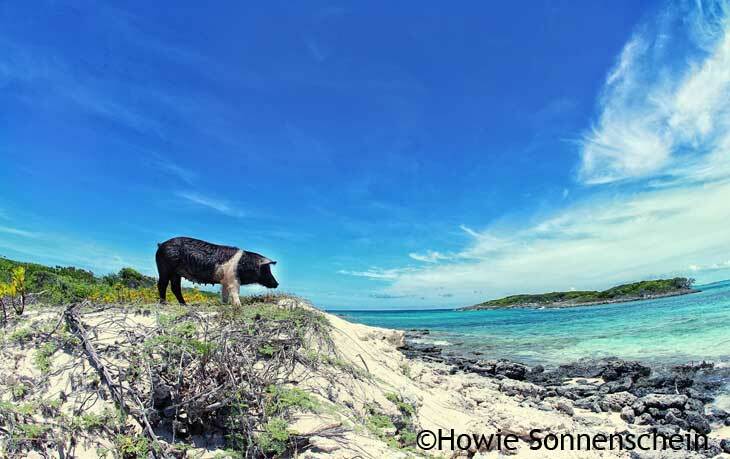 These pigs in paradise live on a couple of the Exuma islands in the Bahamas. Here there are more than 360 small islands with sugar white beaches and clear water. 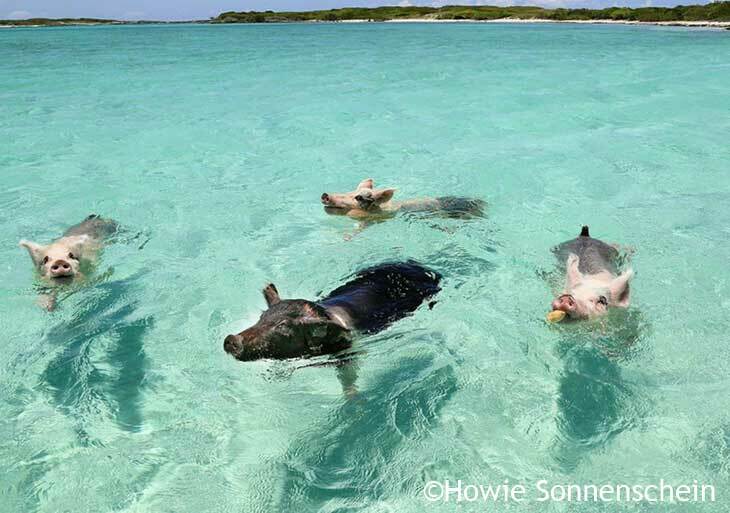 You might see vacationing celebrities and millionaires here, but what you wouldn’t expect to see on your perfect postcard beach are happy pigs swimming around you and enjoying beach life. 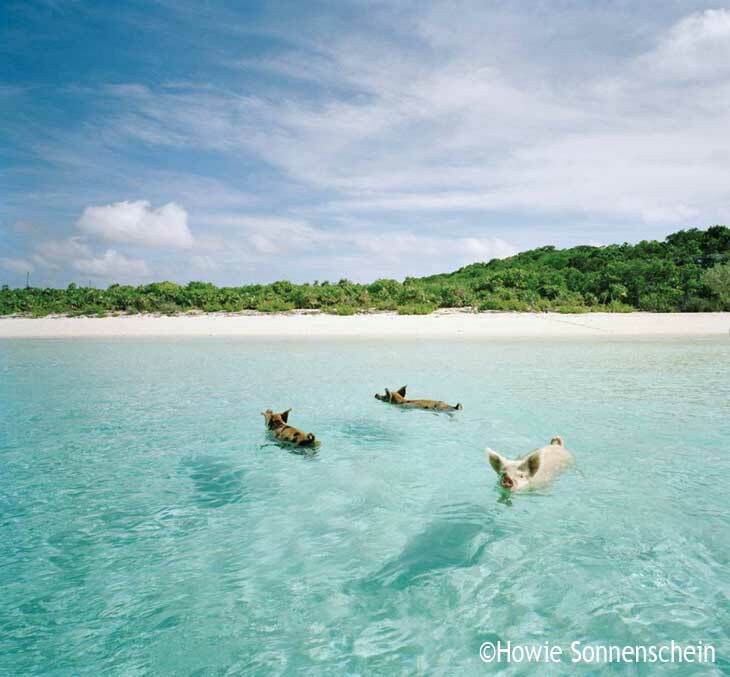 Whenever a boat arrives – usually with tourists eager to experience the pigs in paradise – the pigs swim out to greet the visitors, hoping that they will be rewarded with a few handfuls of yummy food. It is uncertain how the pigs got here. 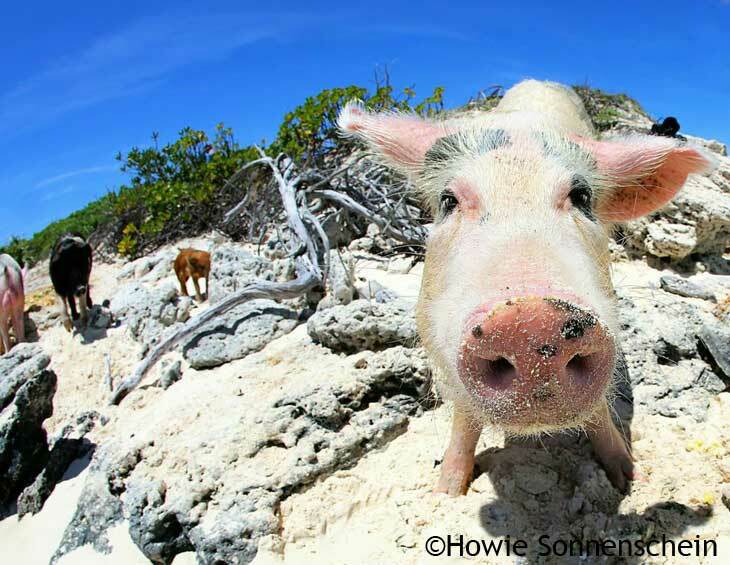 One theory states that sailors dropped them off on the islands, expecting to come back later to the islands with pigs ready to be domesticated. Another theory sees the pigs as shipwreck survivors. A third, and perhaps the most probable theory is that the pigs were relocated by local villagers in the 1990’s due to stench complaints. Whichever way they got here, they are an amusing sight, and you can’t help but feel happy learning about this wacky phenomenon. If you are also intrigued by the pigs in paradise, you can find more images, background stories, and information on the When Pigs Swim official website, and don’t forget to like their Facebook page for the most recent updates. Next postHotel WiFi: Want to stay online on your beach holiday?